Migrants crossing the Sonoran desert perish from dehydration and hyperthermia. This team’s goal was to provide an alternative approach to water portability and treatment. Their solution involves a small device that attaches to a backpack. 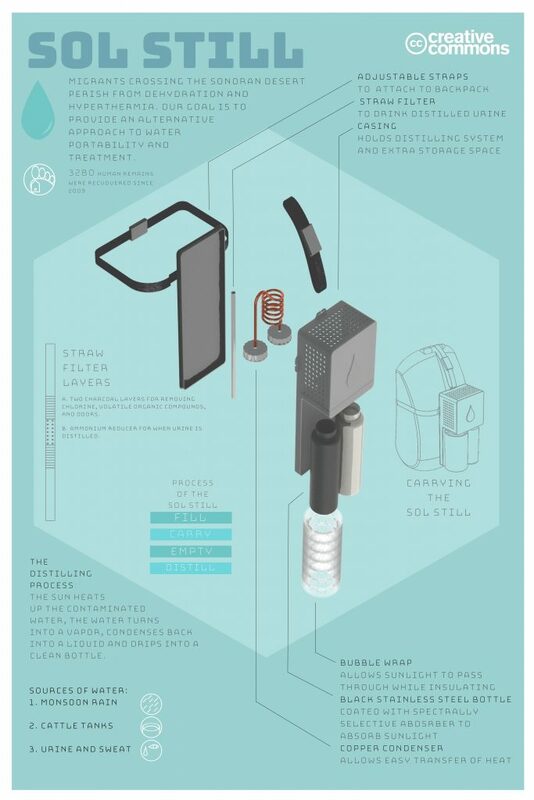 This device will essentially use the sun to heat up contaminated water until the point of vaporization to eliminate the toxins The vapor will then be condensed back into a clean, drinkable liquid. This system allows travelers to use monsoon rain, cattle tanks, urine, and sweat as sources for water.